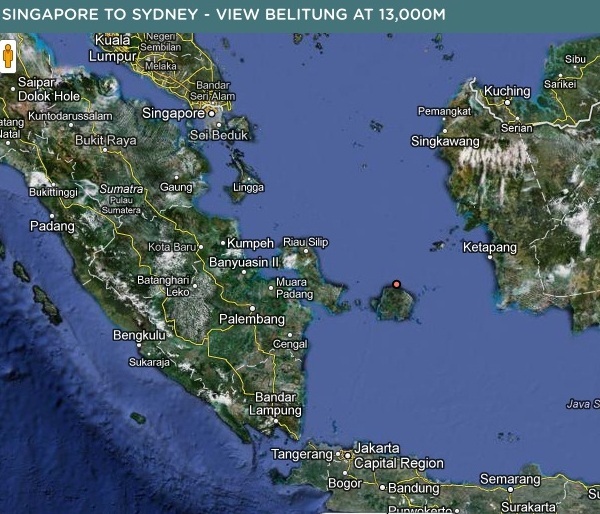 The Singapore to Sydney Hidden Journey passes over Belitung Island, The Wallace Line, Bali and Timor Sea in Indonesia before continuing to Australia. Once a colonial treasure-trove, the Indonesian island of Belitung is gradually becoming a haven for visitors looking for an alternative to the busier tourist traps of Southeast Asia. 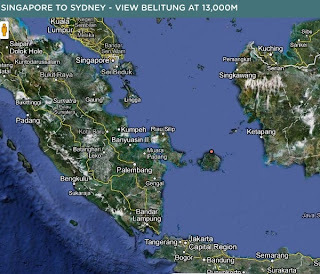 Belitung lies in the South China Sea off the east coast of Sumatra; in 2002, along with its larger neighbour Bangka, the island became part of one of the newly established provinces in Indonesia, Bangka-Belitung. Both islands sit on the Sunda Shelf, the continental landmass attached to Eurasia; as sea levels rose after the last Ice Age, the Shelf was flooded leaving the highest elevations behind as islands, including Bangka and Belitung. The islands’ origins set them apart from many other Indonesian islands, which are typically volcanic in origin; islands such as Bali and Lombok were formed around volcanoes rising steeply from the sea. Bangka and Belitung, however, are low-lying islands that rise gradually from the sea floor; this means that the sea around them is shallow, turquoise and calm, with beaches more often likened to those in the Caribbean than others in Indonesia. Belitung was the Dutch colonial tin mining center, which brought Chinese workers to the island. The present ethnic Chinese population are descendents of those workers. Many Dutch-style colonial buildings can be found on the island. 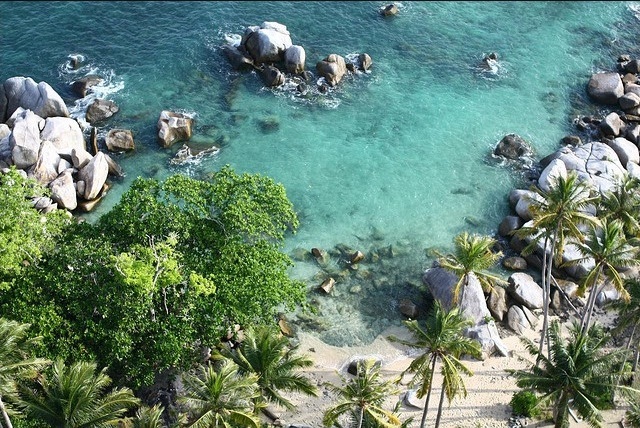 Belitung's coastline is surrounded by piles of huge granite boulders. Tourists to the island enjoy climbing on the rocks and through the tunnels between them. Belitung's beaches are renowned for their sand, which is such high quality it is sold for man-made beaches around the world. Its pure white sand beaches and shallow turquoise seas mean that Belitung is likened more often to Caribbean islands rather than other Indonesian islands. The Wallace Line is a bio-geographic boundary separating Asian species in the west from Australasian species in the east. Despite being only 35 kilometres apart, Bali and Lombok do not share the same species, as they are separated by the Wallace Line. 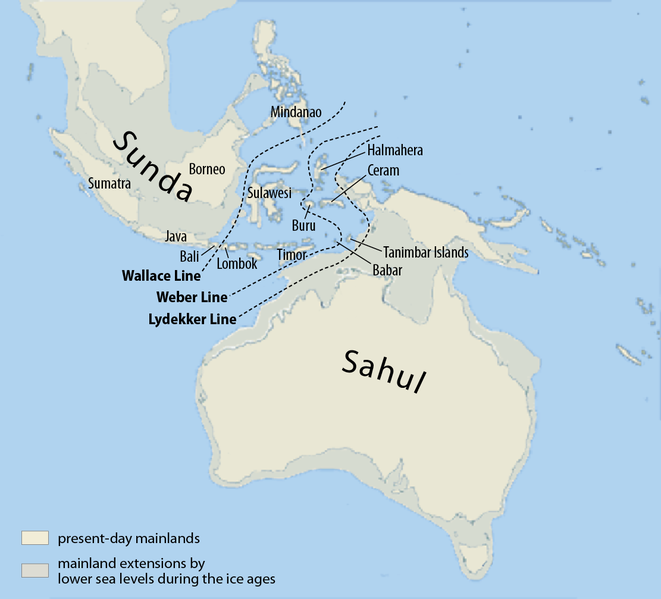 A map showing the Wallace Line, which runs off the coast of Borneo between the island and Sulawesi. The Weber and Lydekker Lines are other similar bio-geographical boundaries. 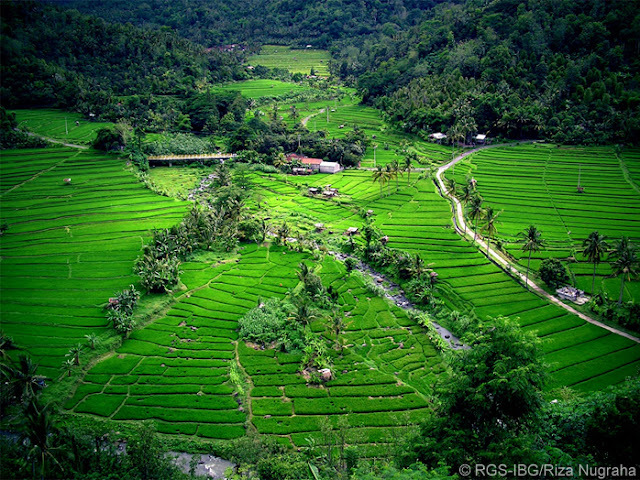 Paddy fields in Bali: Rice paddies can be found in terraces across Bali. 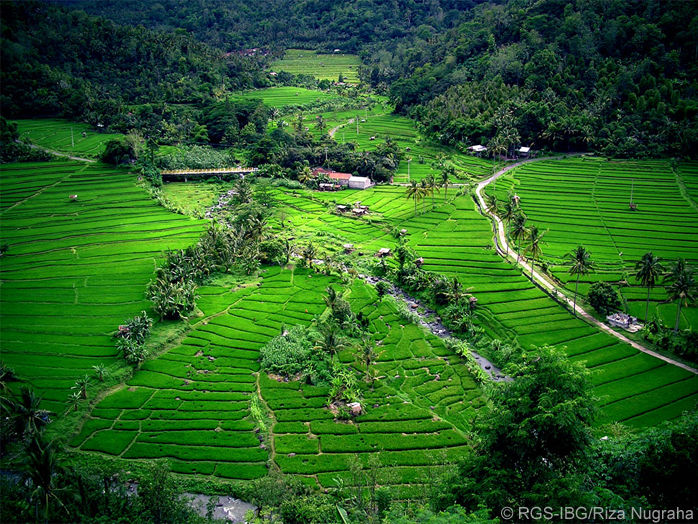 Terraces make the most of the hilly landscape and rice thrives in the volcanic soil. The Hidden Journeys Project aims to enliven the flying experience by providing interactive guides to air travellers about the parts of the world they fly over from departure to arrival (www.hiddenjourneys.co.uk). The latest guide to be released covers the flight path from Singapore to Sydney, exploring some of the world’s most remote and spectacular landscapes in Southeast Asia and Australia. From the isolated reefs of the Timor Sea, to the horizontal waterfalls of Australia’s Buccaneer Archipelago, to the red sand dunes of the Simpson Desert the interactive guide covers an amazing diversity of people, places and landscapes. Vast stretches of this flight path have seen no human influence at all; however, others have been adapted and altered by the human inhabitants. Land reclamation in Singapore, rice terraces in Bali and the farmland in the Murray-Darling Basin are but a few examples. Every country along this route also has its own colonial history: from the British in Singapore and Australia to the Dutch in Indonesia, each nation has left its mark on the landscape along the way. I love to get in touch with this blog.